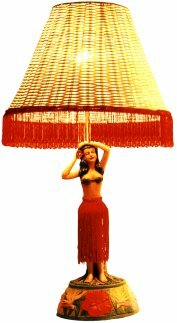 Light up your home in vintage Hawaiian style with Waikiki.com's Classic Hawaiian Lighting Collection. 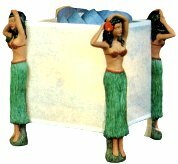 Choose between 54" Hula Girl Lamps, Ukulele Table Lamps, Rotating Screen Lamps and Classic Dancing Hula Girl Lamps. Everything in our Lighting Collection is on Sale! Get the best prices online with Waikiki.com. Free gift with purchase! Great as Christmas Gifts!